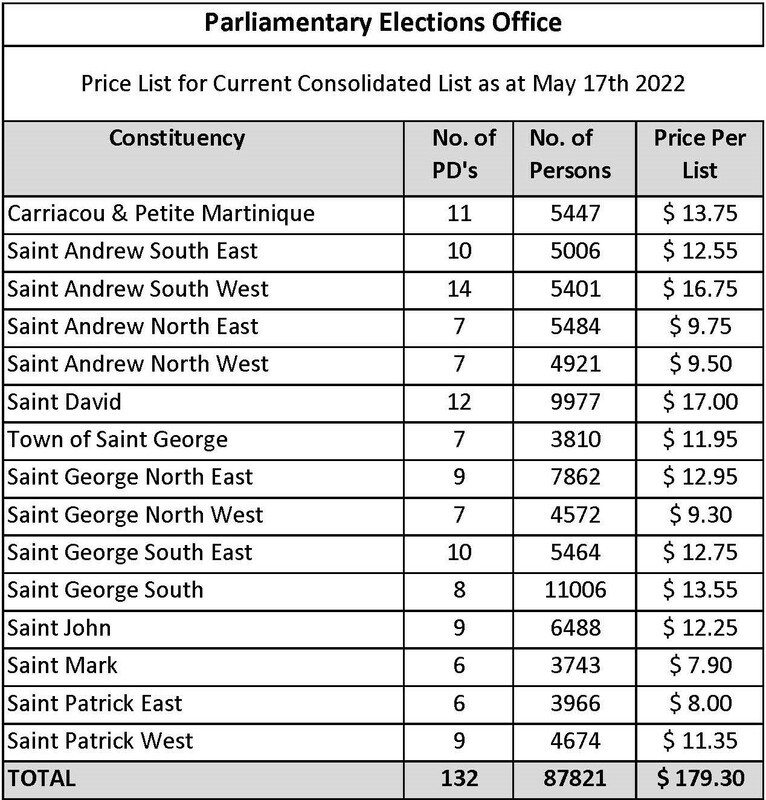 Below is a summary of the number of registered voters in the various Constituencies, number of Polling Divisions and the price of the various lists (Non-Police) if you so desire a printed version. To obtain a printed version, please make the relevant payment at the Treasury and carry the receipt to the Electoral Office. The list can also be provided electronically once the relevant fees are paid.